Please look at our policy page to read the Safeguarding policy. Prevent Are you concerned that someone might be at risk of radicalisation? This website offers support and guidance about what to do. Ditto and e-safety adviser A really useful website which gives details for parents, carers and staff about safeguarding and online safety. You can sign up to receive a monthly magazine via email. Educate against hate - anti-radicalisation and extremism. This is a very well designed website that explains ways in which you can protect your child from dangerous influences. How do you talk to your child about sexual abuse? This BBC web page gives useful links and practical advice for dealing with this difficult subject. Excellent advice about posting images online. This CBeebies guide is useful reading for all parents. Fortnite - what do parents need to know? In the 21st century, it's not practical to know what our children are doing every minute of the day, but it's every parent's responsibility to make sure that their children know why it's essential that they stay safe online. ¨ Encourage your child to treat online strangers the same way they would treat them in the street - not to trust everything they say. ¨ Make sure your child does not arrange to meet up with anyone they have met online. You need to explain the dangers to them. ¨ Encourage your child to keep personal information to themselves while online. ¨ Treat your child's online friendships in the same way as their real world friendships - by showing an interest. ¨ Share the experience of going online - go surfing together. ¨ Agree with your child that you will help set up their profile with them. This way you will know their password and can access their account if necessary. ¨ Encourage them to limit their number of friends. ¨ Talk with your child about their experiences online. ¨ Get online yourself and consider signing up to a social networking site so you understand them better. 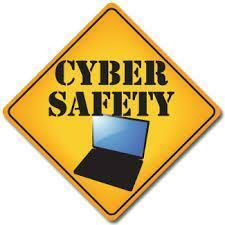 ¨ Check out the privacy information and safety tips on social networking sites. This information is usually found in the "about us" section or in dedicated "privacy" or "safety" sections. ¨ Set up the computer in a communal area of the house, like the living room. ¨ Agree how much time can be spent on each site by each family member. There are downloadable 'contracts' which every member of the family can sign up to. ¨ Use an up-to-date web browser. ¨ Make sure your wireless network is password protected. ¨ Get anti-virus software, anti-spyware software and a firewall. ¨ Keep your computer up-to-date. ¨ Use child protection settings to restrict access to certain sites. Click here to access more information for parents and guardians from the Child Exploitation and Online Protection Centre (CEOP) thinkuknow website. Click here to access more information and advice about online safety from external websites. CEOP is the UK's national police agency for protecting young people online. You can get help and advice on a range of subjects and can report directly to CEOP if you are worried about someone's behaviour towards you online. Thinkuknow is run by CEOP and has information for young people between the ages of 5 and 16, parents and resources for professionals to teach internet safety. Advice for parents, professionals and young people on the signs of sexual exploitation and how to keep safe. A site from Childnet International with all sorts of information about being smart online. This site explains how to stay safe in different forms of online chat, including mobiles, internet messenger and gaming. Information from DirectGov with advice about staying safe online using the simple "Zip it, Block it, Flag it" system. It's a joint venture with the UK Council for Child Internet Safety. A site explaining the basics of safe surfing, including how to protect your PC and avoiding internet crime. The Internet Watch Foundation (IWF) operates the UK Internet Hotline for the public to report criminal online content in a secure and confidential way. The Hotline service can be used anonymously. Information and advice in relation to parental control software. ChildLine is the free helpline and online service for children and young people in the UK. Children and young people can call 0800 1111 or visit www.childline.org.uk to talk to a trained counsellor about any problem, or talk to other young people on the message boards. CyberMentors is all about young people helping and supporting each other online. If you're being bullied or are troubled by something, CyberMentors is where you can go for help. PLEASE NOTE: Thornhill Primary School is not responsible for pages maintained by external providers or for the content held within them. The sites listed above have been identified as useful resources for providing additional information on some of the topics discussed on this site.